AMMONNEWS - Jordan has once again postponed reopening its commercial border crossing with Syria, despite pressure from the Syrian government and its ally Russia, according to pan-Arab media sources. Sources said the Jordanian government said it needs "other meetings between the parties" in order to reopen the Nassib crossing, one of the main trade corridors in the entire Middle East, which closed due to the civil war in neighbouring Syria. In recent days, Syrian media reported the Syria government was ready for the reopening of the crossing connecting Damascus and Amman. Lebanese goods, for example, reach Saudi Arabia by land passing through Syria and Jordan, and other trade products from various countries in the region also pass through Nassib. Pan-Arab and Lebanese media recently reported Lebanese and Russian government pressure on Jordan to reopen the crossing. Media sources said Moscow is interested in strengthening the winning image of the Syrian government and Syrian President Bashar al Assad. 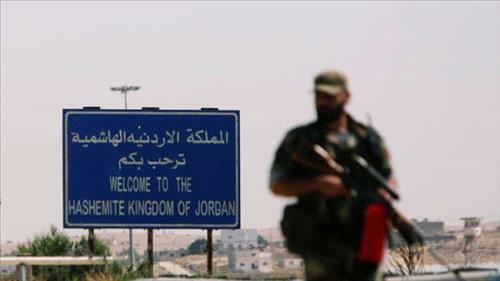 The same sources said Jordan, allied with the United States, does not have the same interests as Russia and prefers to postpone the crossing's reopening for political, and not technical, reasons. The Nassib crossing was closed at the start of the Syrian crisis in 2011, after anti-government militias in the country's south took control of broad areas along the border with Jordan.